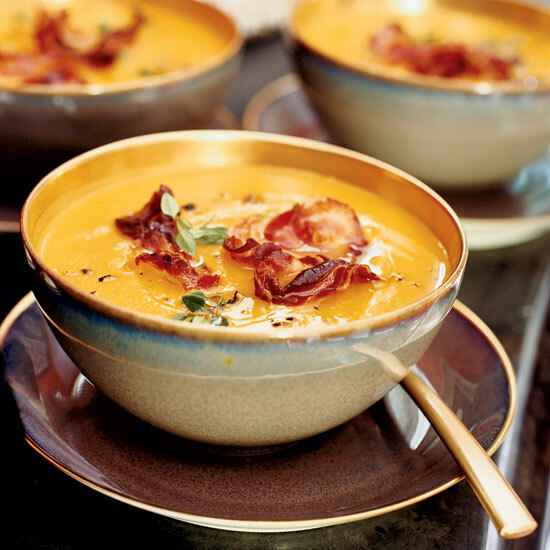 From luscious pumpkin soup with lobster to creamy butternut squash soup with crispy pancetta, here are superb Thanksgiving soup recipes. 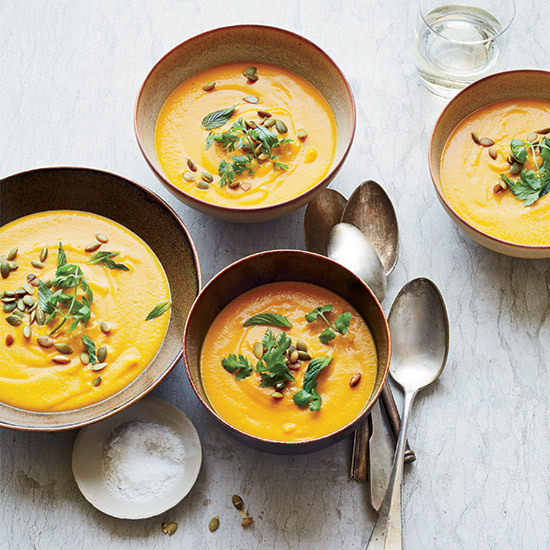 “I love that root vegetables are so rustic,” says chef Marcus Samuelsson about this earthy, Indian-spiced soup. 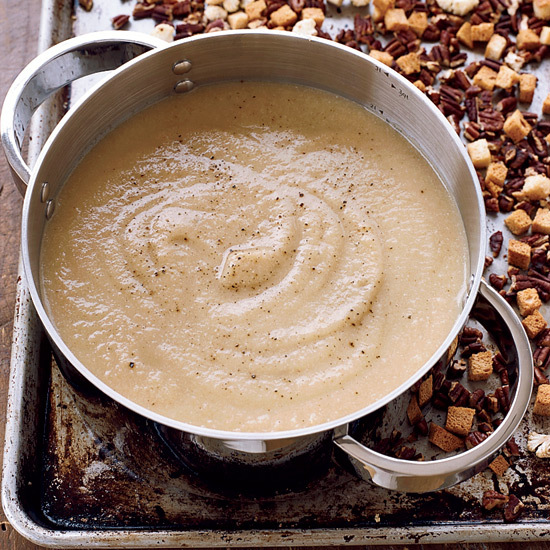 “I add pear and walnuts for sophistication and crunch.” He says that if you can’t find sunchokes (also called Jerusalem artichokes), simply use all parsnips instead. 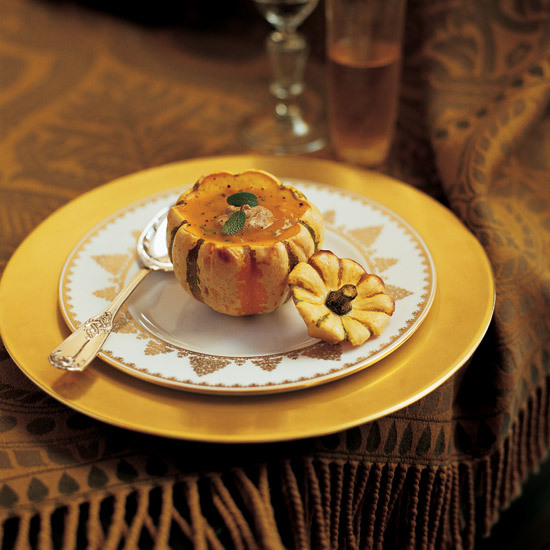 Most Thanksgivings include pumpkin in some guise. 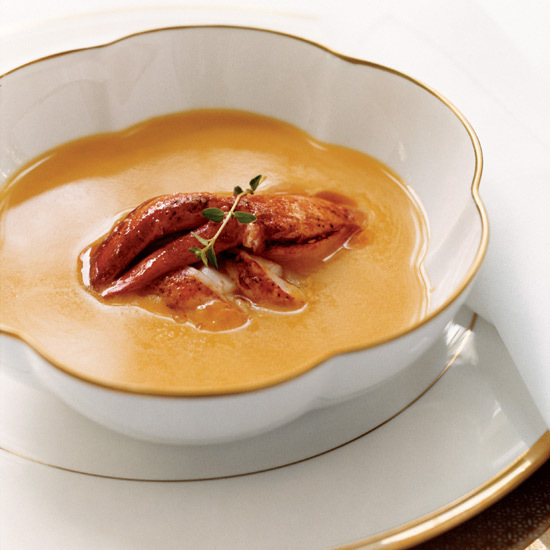 The Rushings’ version is a pumpkin soup topped with lobster bathed in a spicy butter. 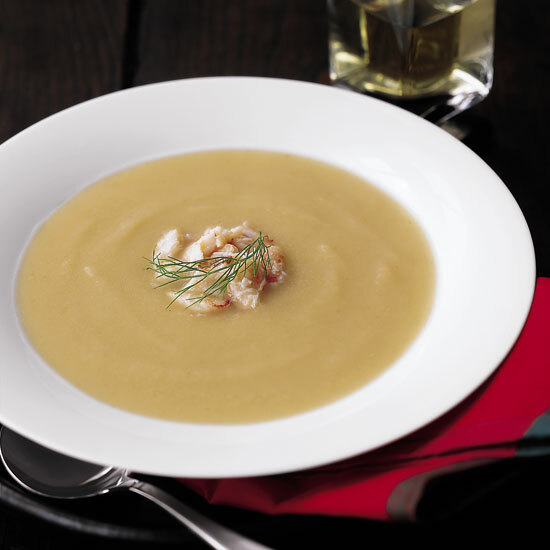 The natural brininess of the lobster helps bring out all the deep, earthy flavor in the soup. Sautéing bread crumbs with Spanish chorizo makes them supercrispy and infuses them with spicy flavor. 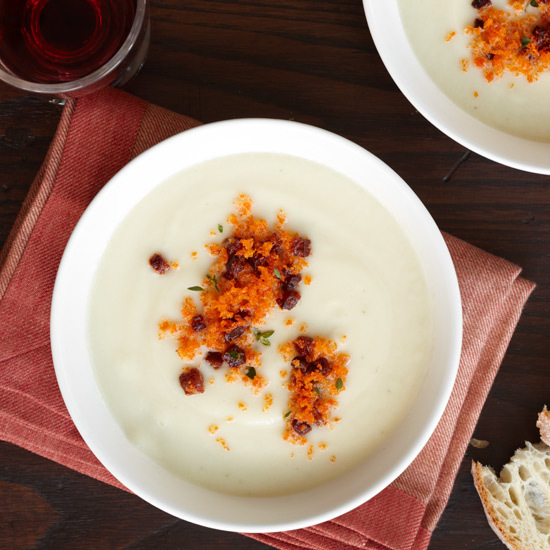 The bread crumbs are an excellent topping for this sublime, velvety cauliflower soup. 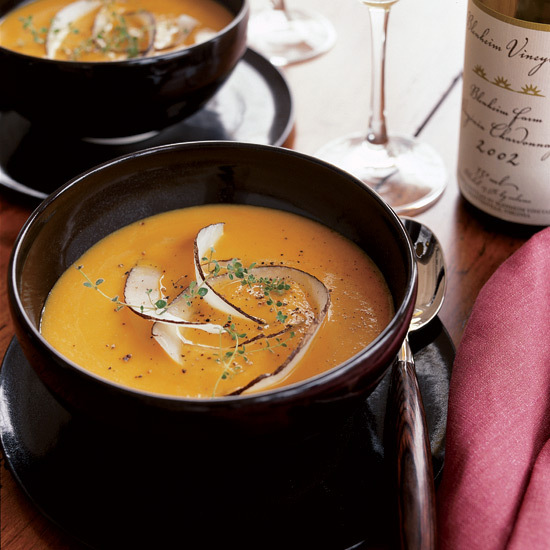 Tip: When making squash purées and soups, first bake the squash in the oven until tender so it’s easier to remove the flesh from the skin. 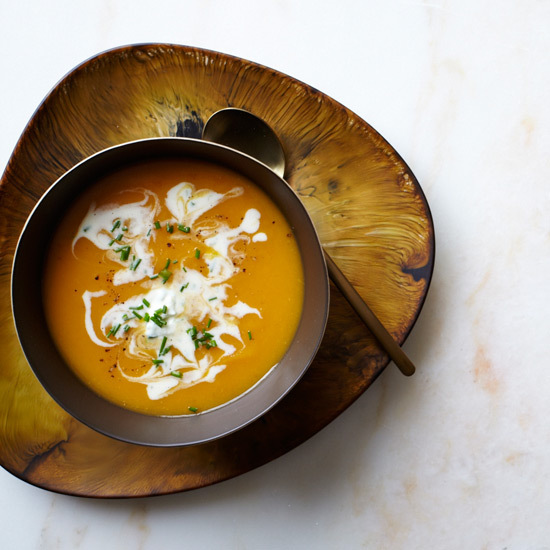 The smooth varieties can be peeled; for ridged or nubbly squash, simply scoop the flesh out with a spoon. 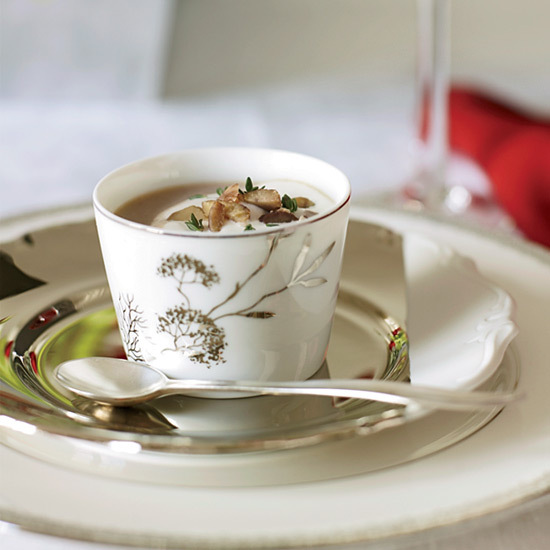 Adding sweet crabmeat to this soup makes for a sophisticated first course, but it is just as lovely served on its own. 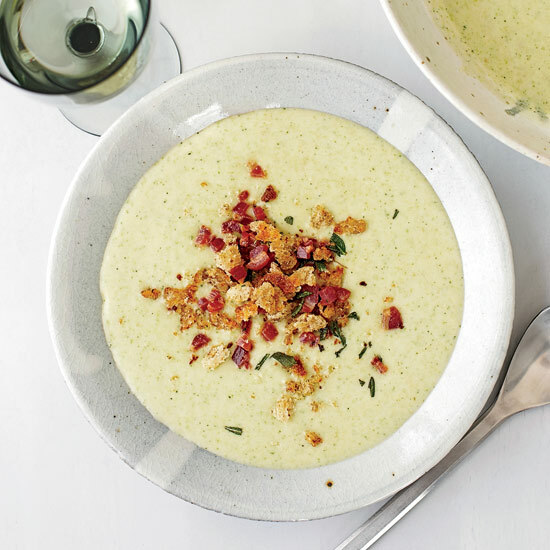 Suggested pairing: This creamy leek soup calls for a full, mellow wine that echoes its richness such as a white Graves with a good proportion of Sémillon. 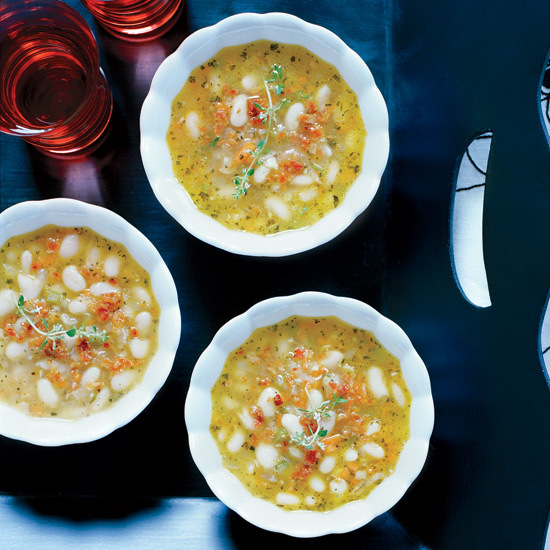 The whimsical presentation of this dish gives maximum dramatic effect with a minimum of last-minute effort. 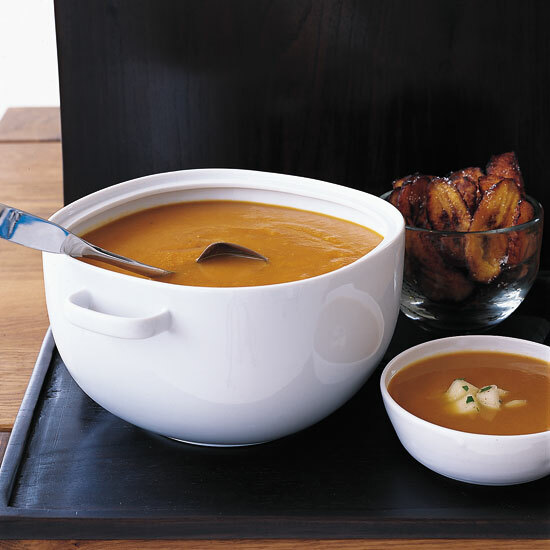 Both the soup and hollowed-out squash can be reheated in a microwave oven. 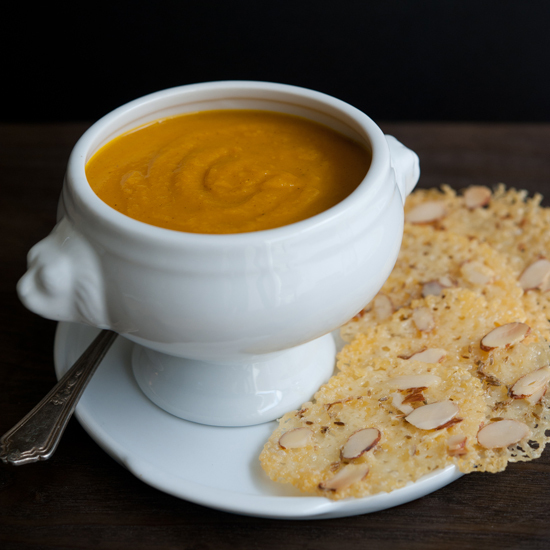 Cauliflower adds a natural, clean flavor to this luscious soup as well as lots of vitamins: Three florets provide close to half the daily requirement of vitamin C.
Jeanette Peabody makes this luscious, slightly sweet soup with butternut squash and coconut milk instead of heavy cream. 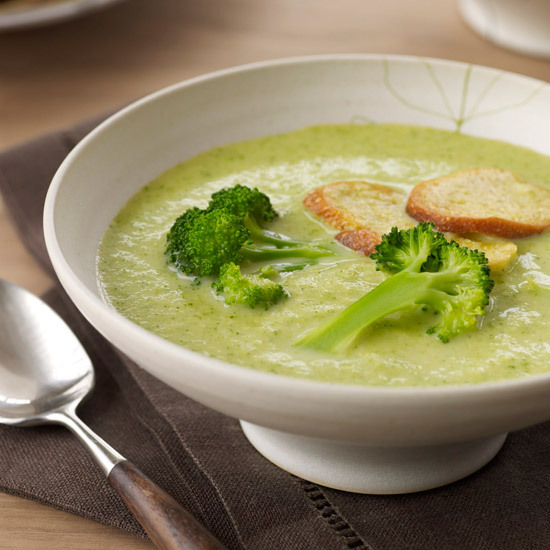 The coconut milk gives the soup a silky texture and a hint of exotic nuttiness. Growing up in Italy’s Marche region, Fabio Trabocchiroasted chestnuts in the fireplace to eat as a snack while playing cards with his family. 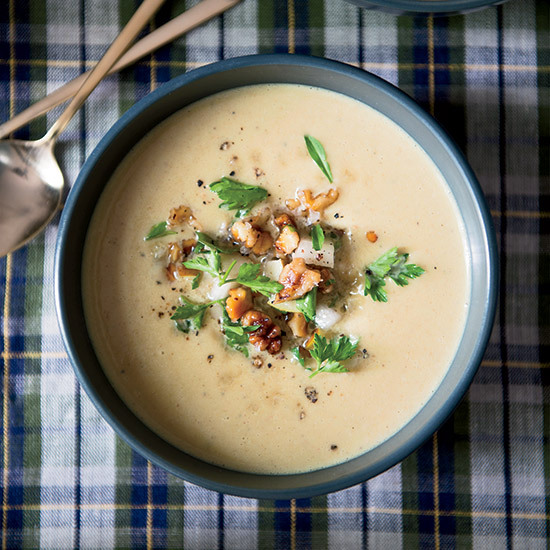 At culinary school, he first transformed those chestnuts into this luscious soup. 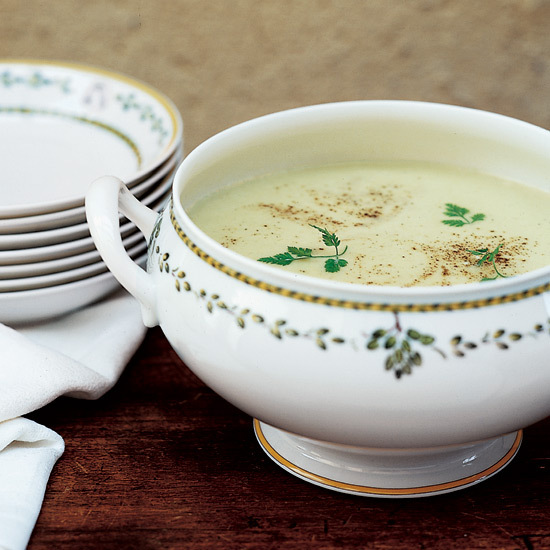 Incredibly creamy, it’s best served in small cups as an hors d’oeuvre.